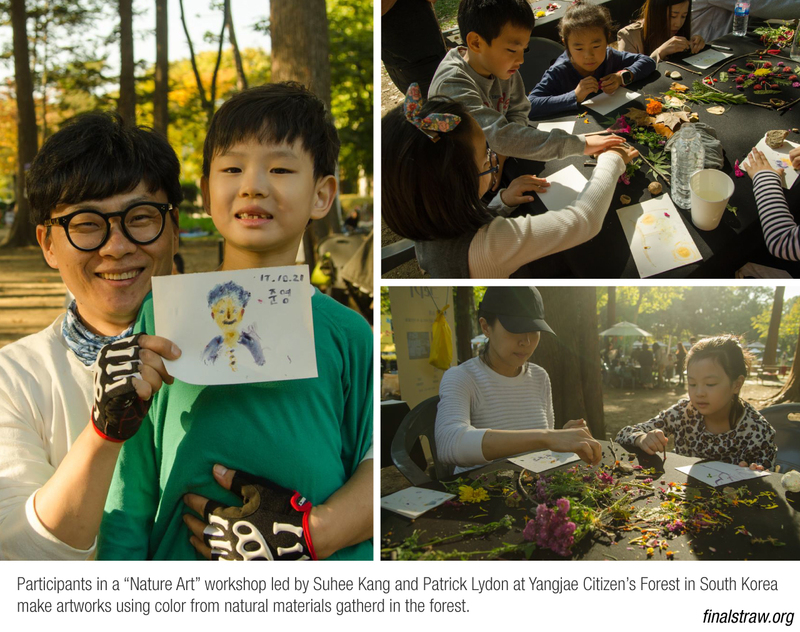 Autumn is here, and last Saturday we took the subway out to Yangjae Citizen’s Forest, an urban forest in the southern part of Seoul to join a seasonal festival called “Small Works of Art in the Forest”. 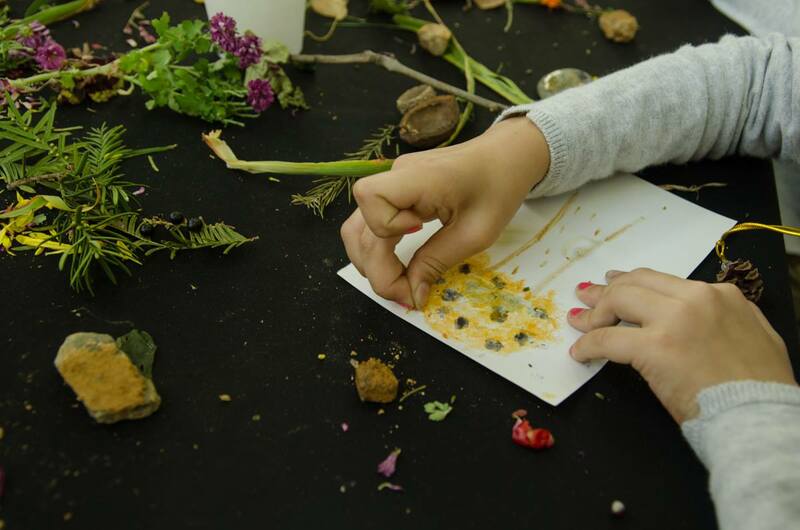 We led three workshop sessions during the day, all of them using natural materials from the forest floor as paints. We decorated the tables with mandalas made from natural materials, and had the participants – young kids, parents, and a even some intrigued college students and office workers – join in taking pieces from the mandala to use directly as pigments for their artworks. 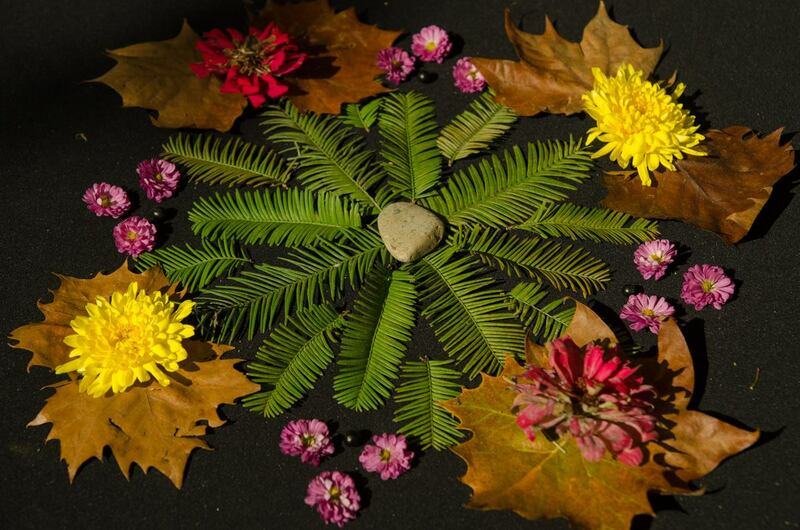 1) Realize each material as precious, and use it with gratitude, giving thanks to nature and the lives in the forest which produced the material. 2) Try not to judge yourself or others, simply feel and let your work come to life. The day was one of those perfect-weather days for being in the forest, warm sunlight filtering through pine needles and leaves above, a calm breeze running through the branches. In this setting, rubbing, squeezing, and banging their way along, the participants produced vivid works that reflected the Autumn season’s color palette. Kids, as always, had endless fun with this, and yet we also noticed one father who was extremely focused on experimentation and constantly amazed with the outcomes. It seemed like he may have been having even more fun than his son! 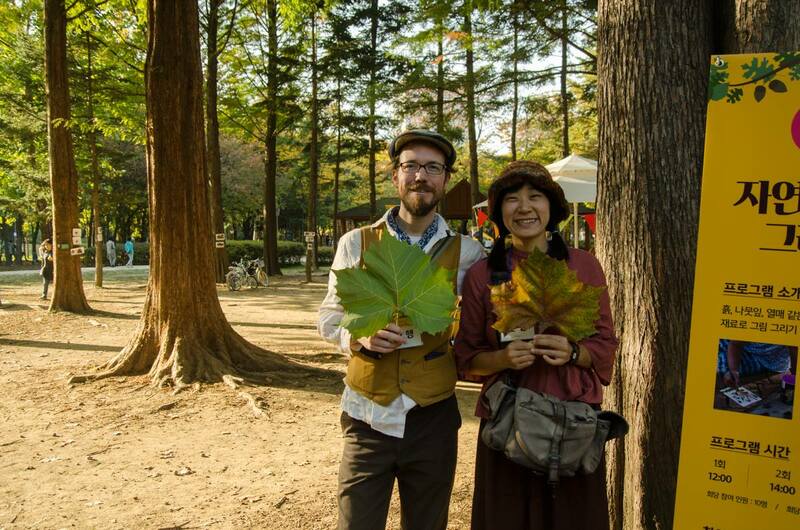 Thank you to everyone who participated, to the city for their support of this wonderful event, and to Eunhee Shin from Value Garden for inviting us here.